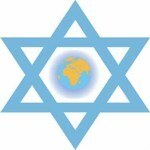 Jewry is an established social, economical and political power in the world and in the United States. In concurrence with the democratic principles of our society, it is morally and politically correct to offer criticism of Jewry and its economical and politico-cultural power. As the distinguished scholar, Noam Chomsky, has noted elsewhere, even in open democratic societies such as ours, which lack the cruder forms of ideological control, there is still a public orthodoxy: a set of assumptions, ideas, and doctrines which is rarely, if ever, questioned. See 1 A key aspect of the public orthodoxy is the psychosocial taboo. The latter can be defined as a private emotional aversion and a public social ban attached to certain modes of thinking and public criticism. Examples of societies with public orthodoxies, which are in turn protected by psychosocial taboos, are not hard to find. For instance, consider the status of the Catholic Church and its theological doctrines in Medieval Europe and during the era of the Inquisition. To question the cardinal tenets of Christian belief was to risk not only ostracism but imprisonment, torture, and death. A more contemporary example is the case of Marxism-Leninism in the Soviet Union. Every Soviet citizen is aware that to criticize the Communist party or its ideological doctrines exposes one to charges of bourgeois corruption," Anti-Soviet slander," and Retrogressive counterrevolution," and corresponding censure and punishment Finally, every sentient, dutiful American citizen knows that to criticize Jews as a group, Jewish culture, Jewish behavior patterns, the alleged Holocaust, etc., is to partake of gimmoral, anti-Semitic racism." Carefully nurtured by the public media, the taboo on criticizing Jewry is deeply lodged in the consciousness of the great majority of Americans, directly influencing their acceptance or rejection of criticisms of Jewish attitudes and behavior, irrespective of the truth or falsity of such claims. Is direct criticism of the Jews anti-Semitism, and, by implication, morally and politically illegitimate, and thus unworthy of serious examination? If not, what is the true meaning of the label "anti-Semitic" applied to such criticism? At best this criticism is only to be tolerated due to First Amendment protection of free speech, or, at worst, to be censured and censored. May the psychic chains of these opponents of taboo-free speech be broken. Concomitant to the democratic theory is the tenet that the various powers and forces-unconnected though they may be with govermnent -- which influence the social, economic, or political direction of society are subject to scrutiny and criticism by citizens of a democracy. According to the historian Bernard Bailyn, the notion that "preservation of liberty rests on the ability of people to maintain effective checks upon the wielders of power" was one of the political doctrines upon which the American Revolution was based. See 4 Political and social power must be checked; otherwise, it becomes repressive. Public scrutiny and criticism are an effective check upon political and social power; immunity from criticism is tantamount to power unchecked. Indeed, the First Amendment to the Constitution guarantees -- among other forms of free speech -- the citizen's right to examine and criticize publicly the various social and political forces which influence our nation's destiny. Granted, the First Amendment does not sanction crying "fire" in a crowded theater. It certainly does, however, safeguard criticism of ideas, theories, ideological forces, and sectarian groups which steer the sociopolitical course of society, irrespective of the fact that the criticism in question may violate the sensibilities of a powerful group. Any factor -- be it a group, institution, body of ideas, set of cultural values, etc. -- which affects the social system, laws, historical development, and political policies of a democratic nation is subject to public criticism by citizens of that democracy. In short, citizens of our democracy have a moral and political right to publicly analyze, debate, and criticize the powers which influence the sociopolitical direction of the nation. It follows, then, that anything which inhibits or silences public criticism of a socially and politically powerful group amounts to an infringement of a basic democratic right. Consider the impact, then, of a psychosocial taboo which links in the minds of citizens a sense of evil and shame with negative criticism of a socially and politically powerful group, and affixes a public label of "evil person" to anyone who criticizes this same group. The taboo then amounts to an infringement of a citizen's right to question a group which has a decided effect upon the fortunes and fate of his society. How many will endure moral censure by their own conscience (an overwhelming sense of "I am evil") for thinking Heretical thoughts"? Of those forthright thinkers undeterred by such self-censure, how many will publicly voice their criticism of such a group, if the end result is being tarred as "evil" and exposed to consequent social ostracism? Let us examine different aspects of Jewish social and political influence upon the American scene. 9. One of the key instruments of Jewish influence in the United States has been the American mass media and book publishing industry. As early as 1936, approximately 50 percent of the taste-making and taste-influencing media lthe book-publishing industry included) was Jewish-owned. See 21 The pervasive Jewish ownership of major media outlets has continued to the present. In a very recent study of Jews and the American cinema, a Jewish researcher concluded: dews have had control of the means of [film] production and thus have enjoyed a protected image despite their minority status in society." See 29 Fifty percent of the major book publishing houses are Jewish-owned. See 30 Accordingly, the Jewish cultural establishment, through its massive influence in the mass media, is able to determine to a large degree what will and what will not be published, and can thus project its ethno-cultural beliefs upon the mass of American people. To make the argument perfectly clear, it is framed in the form of a simple syllogism. Major premise: Inherent in democratic political theory is the right of every citizen to publicly and privately exa- mine and criticize those powers which influence the social, political, or economic life of society. Minor premise: American Jewry -- inclusive of its cultural values -- is one such powerful group which has a significant impact upon the social political, and eco- nomic life of democratic society. Conclusion: Therefore, it is the right of the citizen to examine and criticize, Jewry and its sociopolitical power structure. There is, further, a direct corollary to this syllogism the existence of the psychosocial taboo by which Criticism of Jewry is synonomous with immoral racism is an infringement of the democratic right to question any powerful sociopolitical interest This taboo functions as a self-administered censure, making one feel guilty for thinking critically about the political and social power of Jewry, and also subjects any public criticism of the Jews to derisive labeling as aracist anti-Semitism." Bearing these caveats in mind, how many Americans dare risk exercising their right to criticize American Jewry? 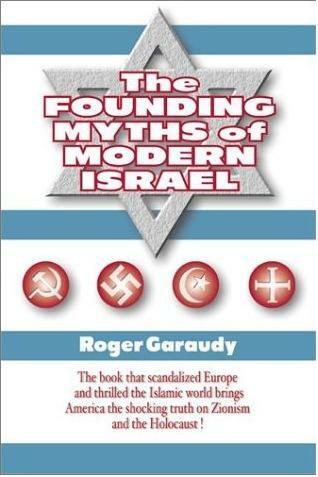 How many businessmen, professionals, labor leaders, academics, intellectuals, and politicians will close their minds and abdicate their duties under the spell of this taboo, dismissing out of hand possibly truthful claims concerning Jewry merely because these claims constitute negative, unflattering criticism? To render Jews, their cultural values, beliefs, biases, history, etc., exempt from critical scrutiny has traditionally been the chief function of the charge of anti-Semitism. It is, as we shall soon see, a politico-intellectual weapon of the powerful Jewish establishment, used to silence its critics. In a historical sense, it is similiar to the charge of heresy employed by powerful theocratic powers in ages gone by, or the charge of anti-Soviet slander used by the Communist Party in the Soviet Union today. 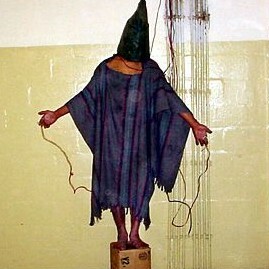 In all these cases, entrenched powers employ such charges, the very raising of which is intended to terrorize, against critics which they deem a threat By associating a sense of evil with criticism of their power or the doctrines they promote, these politico-cultural establishments protect their power and ideological doctrines from rational criticism. The question remains: if the taboo ("criticism of Jewry is evils, and the manner in which the charge of anti-Semitism is utilized are incompatible with democratic principles, then why does the anti-Semitism taboo hold sway in a society such as ours which is based upon democratic principles? If neither from reason or the principles of American democracy, from where do they derive their power to influence? To which irrational proclivities of man-if not to his rational faculties -- do they appeal in order to make them so effective and persuasive? What functions do they really serve? Whose interests or needs do they meet? To answer these questions we must start at the beginning, with properly defined terms. According to the American Heritage Dictionary, an "anti-Semite" is defined as Pa person who is hostile towards or prejudiced against the Jews." See 35 In a previous issue of this publication, L.A. Rollins alluded to the criteria used by many Jews and non-Jews to determine who fits this definiffon. See 36 If an individual makes a statement critical of Jews, it is inferred that this person harbors a hatred of and prejudice toward Jews. These criteria, the manner in which anti-Semitism is determined (i.e., if a statement is critical of Jews, then the individual who made the claim is thereby an anti-Semite) are firmly implanted in the minds of many Jews and Gentiles. Needless to say, this outlook is a part and parcel of the public orthodoxy. Mr. Rollins certainly exposed the non sequitur involved here. Critical statements of Jews do not necessarily indicate hatred and prejudice toward Jews. Indeed, critical statements directed toward Jews might equally serve to indicate that the individual who made the statements harbors within himself-rather than hatefulness and prejudice-a deep sense of humanitarianism. For example, consider the case of John Demjanjuk, aUkrainian American who was accused of war crimes, stripped of his citizenship, and sent to Israel for a show trial. In regard to the Demjanjuk case, Dr. Edward Rubel made the statement Jewish Zionist pressure groups in Washington speak through the OSI for the U.S. government." Quite expectedly, a Jewish member of the ADL, Yitzhak Santis, charged Rubel with "anti-Semitism." See 37 That is, Santis interpreted Rubel's statement as being critical of Jews, and thus has inferred that he harbors a hatred of irrational beliefs about Jews. But does this latter inference necessarily follow? By no means! But even if statements critical of Jews do indicate that the expounder of such statements harbors hostility toward Jews, the statements in question may nevertheless be true. An example will serve to illustrate the point. Ernest Dube, a black professor who at one time held a teaching position at the State University of New York (Stony Brook), taught that Zionism is a form of racism in his courses. See 39 A visiting Israeli professor, Selwyn K. Troen, charged Dube with "anti-Semitism," adding that the equation of Zionism with racism is "sloganeering that is practiced by the anti-Semite." See 40 In accusing Dube of anti- Semitism, precisely what does Troen mean? Stating that Dube is an anti-Semite, according to the dictionary definition of the term cited above, is tantamount to claiming that he harbors, deep down, a neurotic hatred of Jews. This hatred of the Jews has caused him to make irrational, derogatory, and prejudicial statements about them ("anti-Semitic sloganeering"). Here we have an excellent example of an admixture of an ad hominem fallacy and an "emotional language" fallacy. The fact that Professor Dube may have an alleged character deficiency -- a deep-rooted hatred of Jews -- has nothing to do with the objective truth or falsity of his teaching that Zionism equals racism. Dube's personal character traits are logically irrelevant to the correctness or incorrectness of his arguments or claims concerning political Zionism. That is, Zionism could indeed be a form of racism, regardless of whether Dube harbors a personal hatred of Jews. The Dube case exemplifies beautifully the two-fold fallaciousness of the way in which the charge of anti-Semitism functions. On the one hand it is an argument ad hominem, attacking a person's motives and character instead of his thesis. (Under objective conditions, an asserted theory or fact is to be examined quite independently of the attitude or psychic makeup of him who asserts it.) That the charge of anti-Semitism indeed functions as an argumentive bludgeon to silence all critics of Jews, Zionism, and the state of Israel has been noted by individuals -- including Jews -- of all political persuasions. See 44 A classic diversionary tactic, it shifts attention away from a fair examination of the critic of Jewry's claims, and casts ridicule on the critic and his character instead. Instead of offering reasons or evidence to disprove the claims of the "anti-Semite," the tactic places an emotive label (a code word which elicits automatic, negative responses) on the claims, thereby magically, through an illogical sleight of hand, disposing of them. Regarding fallacies of this nature, the logician Irving Copi pointed out: "How they succeed in being persuasive despite their logical incorrectness is in some cases to be explained by their expressive function of evoking attitudes likely to cause the acceptance of, rather than supplying grounds for the truth of, the conclusions they urge." See 45 That many learned intellectuals, well-schooled in the subleties of logic, can throw rationality to the winds and accept such outright fallacies at face value is a tribute to the psychological power of the charge of anti-Semitism. It is to the psychological essence of the charge of anti-Semitism which our analysis must now turn. Specifically, what psychological attitudes does the charge evoke to make it so potent, coercive, and persuasive an instrument in the minds of Jews who employ it and Gentiles who are subject to it? First, why is the label of "anti-Semite" such an awesome threat, to be greatly feared by any and all social critics of the Jews? According to anthropological observation in most societies known to man, there is a stigma attached to mental illness. See 46 Our society is no exception to this rule. And it is here, in the reflexive, unthinking, subliminal association of anti-Semitism (read: criticism of Jews) with psychological sickness that the charge of anti-Semitism derives its awesome power to intimidate, coerce, and silence. It is firmly rooted in the tenets of popular psychology (read: media-promoted ideology), that anyone who criticizes Jews as a group has an underlying emotional problem, and this supplies the underlying reason for his criticism. Jews as a group are presented as blameless and powerless, an oppressed minority forever being victimized: by Arab terrorists, Soviet anti-Semites, Germans, Austrians, East Europeans -- the list is endless. By this reading the "racist" critic of Jews alleviates his own intense psychological problems by criticizing and attacking the powerless Jews. Needless to say, anything said by so confused an individual need only be disregarded. According to Paul Findley, a former Congressman who dealt extensively with Middle-Eastern issues in his tenure, the charge of anti-Semitism "... is an accusation that brings disdain and horror to just about everyone. No one wants to be accused of being anti-Semitic, and the accusation has been developed into the most odious attack that can be made on an American citizen." See 47 Jewish interests, through their pervasive influence on American thinking, have successfully programmed the popular psyche as follows: criticism of the Jews equals hatred of the Jews, which in turn equals mental sickness. See 48 Those charged with "anti-Semitism are prey to the consquences of the distinctly human disgust, aversion and suspicion reserved for the mentally ill. Furthermore, the charge of anti-Semitism serves both as a Jewish sword and a Jewish shield. On the one hand, it is an ad hominem attack upon the character of a critic of Jewry. As such, it functions as a threat, used to intimidate and to coerce the critic or potential critic into silence, and to defame his character and dismiss his assertions if he speaks out Thus it is an offensive weapon, a Jewish sword. Now, let us see how it functions as a defensive shield for Jewish people. The charge of anti-Semitism can provide Jews psychological insulation from negative criticism, which, even though it be legitimate, is too painful for conscious acceptance. A Jew can easily sweep the criticism from conscious awareness by saying, "He [the critic of Jewry] is just an anti-Semite. Therefore, whatever he says about the Jews is false, and I don't have to listen to him." In a word, it is an excellent example of the Freudian defense mechanism of rationalization. This could well be one of the major psychic forces behind this seemingly endless drive by certain Jewish organizations to "discover anti-Semitism" in the critics of Zionism and other forms of Jewish social and political influence. The charge of anti-Semitism could thus function as a conscience-salving self-deception for Jewish people. Let us review some of the major points of this essay. The following cultural programming is a key part of the public orthodoxy: in America today: a) statements critical of Jews imply antipathy toward Jews, and b) antipathy toward Jews or Jewish organizations are the sign of a psychological disturbance. Previously, we have seen that statements critical of Jews do not necessarily arise from a hatred of Jews. Even if they did, this does not render the assertions false. Let us analyze the validity of belief b. Let it be assumed, for the sake of argument, that a man bears hostility toward Jews or Jewish organizations. The public orthodoxy, the cultural conventions of our time, demand that we assume the man is either mentally disturbed or "evil." Is this necessarily true? Is it not possible that feelings of antipathy toward the Jews may stem from normal psychological reactions caused by the collective behavior of large numbers of Jews? Consider the following examples. The Hungarian Revolution of 1956 provides another case in point. Post-World-War-II Hungarian society was very oppressive, a virtual Stalinist concentration camp. By 1956 at least one quarter of the entire Hungarian population had been jailed at one time or another, most often on trumped-up charges. If one's father had been a landowner or an officer during the Horthy era, university education was denied him, the higher professions closed, and his fate seemed sealed: to perform menial tasks for the rest of his life. There was additionally the full gamut of Stalinist suppression of religion and freedom of speech, as well as torture and execution of political dissidents. In view of the oppression that these Hungarians had experienced at the hands of a virtual totalitarian, Jewish-controlled government, may one not be justified in concluding that their hostility to Jews was a normal psychological response -- in the sense that most people under the same set of circumstances would respond almost identically -- caused by the collective, oppressive behavior of a large and influential group of Hungarian Jews? The case of Jewish influence upon American foreign policy regarding the Middle East provides us with another instructive example. It has been well documented elsewhere that the Zionist establishment virtually controls the general direction of American Middle East foreign policy, and Jewish Zionist manipulation of our government for its own ends is quite extensive. In reference to this manipulation of the American government, Admiral Thomas Moorer has commented: "If the American people understood what a grip those people have got on our government, they would raise up in arms. Our citizens don't have any idea what goes on." In other words, if the American people knew how certain Zionist Jews are manipulating the American political system to the detriment of the American people, anti-Jewish hostility would become widespread -- a quite normal, mass psychological response to the immoral collective behavior of a large group of Zionist Jews. In a past issue of The National Jewish Post and Opinion, the Jewish columnist, Arlene Peck wrote: at have my own feelings about the Germans and benevolence isn't one of them. I traveled to Munich briefly a few years ago and couldn't wait to get out of that country ... I can't help if I'm not a forgiving person." See 54 Quite obviously, she is telling us that she bears hostility toward the Germans. Yet, the public orthodoxy demands that we sympathize with her by saying: "Well considering the oppression that Jews have suffered at the hands of Germans, it is certainly normal and understandable that Jewish people are hostile toward the Germans." 1. Jewry is an established social and political power in the United States. In concurrence with the democratic principles of our society, it is morally and politically correct to offer criticism of Jewry and its politico-cultural power. 2. The potency of the charge of anti-Semitism -- its ability to silence critics of the Jews -- derives not from the force of reason, but rather, from the force of an irrational, deeply ingrained, cultural convention specifically, the unthinking association of a sense of evil with criticism of the Jews. 3. The charge of anti-Semitism is a Jewish sword and shield. A Jewish sword, it is an ad hominem attack on any critic of the Jews. By focusing on the critic's character, it induces people to reject his assertions on Jewish behavior out of hand, without fair examination. A Jewish shield, the charge serves as a psychological defense mechanism whereby Jewish people can insulate themselves from criticism which is too painful to confront consciously. In a political and sociological sense, the charge of anti-Semitism is a powerful weapon of the Jewish cultural and political establishment, used in an undemocratic manner to silence its opponents and to enable that establishment to operate with impunity. Thus, the accusation of anti-Semitism is an essential tool of Jewish power and influence. 4. In our society almost every form of social and political power has its share of critics. The government bureaucracy, the so-called military-industrial complex, the CIA, Big Business, the Catholic Church, Christian fundamentalists, the oil companies, Ronald Reagan, the political Left, the political Right: all have their outspoken critics. Americans are told from their cradles to their graves that their country is the "land of the free," the "home of free speech," the nation in which the citizenry is able to question and challenge all forms of social and political influence. Let one invoke this right of free speech and engage in criticism of the power and influence of American Jewry, however, the reigning cultural conventions demand that we label him "anti-Semitic." Our democratic philosophy allows for the political and moral legitimacy of criticism of the Jews as a group. If all forms of social and political influence have their tolerated, even respected critics, then let the critic of Jewish influence speak openly. By the canons of our free society, even Jewry should ultimately benefit from an open discussion of the power of Jews in politics, economics, and culture in modern America. "Reprinted from The Journal of Historical Review, PO Box 2739, Newport Beach, CA 92659, USA. Domestic subscriptions $40 per year; foreign subscriptions $50 per year." 2. Encydopaedia Brittanica, Pith ed., s.v. Taboo," by Northcote W. Thomas, quoted in The Basic Writings of Sigmund Freud, ff bks., trans. and ed. Dr. A.A. Brilt The Modern Library (New York Random House, 1938), 5:823. 3. The Encyclopaedia of Philosophy, 1967 ed., s.v. "Democracy," by Stanley I. Benn. 4. The Ideological Origins of the American Revolution (Cambridge, Mass. : Belknap Press of Harvard University Press, 1967), p. 65. 5. Jews and American Politics (Garden City, New York Doubleday & Co., 1974), p. 7. 7. News in Congress show anti-Semitism reduced," The Naffonal Jewish Post and Opinion, 27 February 1985, p.3. 8. Wolf Blitzer, Jewish political activists delighted at election returns," Cleveland Jewish News, 14 November 1986, p. A-16. 9. Wolf Blitzer,"U.S. sends Jewish envoys to help deal with Israelis Cleveland Jewish News, 27 June 1986! 10. Charlotte Sailkowski,"America's Israel Aid Budget Grows," Christian Science Monitor, 30 November 1983, p. 5. 11. Quoted in Paul Findley, They Dare to Speak Out: People and Institutions Confront Ismel's Lobby (Westport, Conn.: Lawrence Hill & Co., 1985), p. 47. 12. Arthur Liebman, Jews and The Left (New York John Wiley and Sons, 1979), p. 1. 13. Stanley Rothman and S. Robert Lichter, Roots of Radicalism: Jews, Christians, and the New Left (New York: Oxford University Press, 1982), p. 98. 15. Review of Roots of Radicalism, in The American Spectator, vol 16, no. 5 (May 1983), p. 26. 16. Rothman and Lichter, Roots of Radicalism, p. 105. 17. See Findley, They Dare To Speak Out; Cheryl Rubenberg,"The Middle East Lobbies," The Link, voL 17, no. 1 January-March 1984); Earl D. Huff,"A Study of a Successful Interest Group: The American Zionist Movement," Western Political Science Quarterly, voL 25 (March 1972), pp. 109-124; Lee O'Brien, American Jewish Orgaxuzations and Israel (Washington, D.C.: Institute For Palestine Studies, 1986); Alfred M. Lilienthal, The Zionist Connection II: What Price Peace? (New Brunswick, N.J.: North American,1982): Morrell Heald and Lawrence S. Kaplan, Culture and Diplomacy (New York, 1978). 18. Review of The American House of Saud: The Secret Petrodollar Connection, by Steven Emerson, 11 July 1985, p. 17. 19. Richard Siegel and Carl Rheins, comps. and eds., The Jewish Almanac (New York Bantam, 1980), p. 58. 20. Wilmot Robertson, Chapter 15 of The Dispossessed Majority, "The Jews," (Cape Canaveral, Florida Howard Allen, 1981), pp. 152-201. 21. See the short discussion of Fortune magazine's 1936 report on Jews in America in James J. Martin's, The Man Who Invented Genocide": The Public Career and Consequences of Raphael Lemkin (Torrance, California Institute for Historical Review, 1984), p. 54. 22. Edwin Black, Owned by Jews, evangelical radio spreads Gospet" Cleveland Jewish News, December 1985, p. 13. 23. Alfred M. Lilienthal The Zionist Connection II, p. 219. 24. Richard Siegel and Carl Rheins, The Jewish Almanac, p. g9. 25. Stephen D. Isaacs, Jews and American Politics, p. 46. 27. E. J. Epstein, News From Nowhere (New York: Random House, 1973), pp. 222-23, cited by Stanley Rothman and S. Robert Lichter, Roots of Radicalism, p. 97. 28. Muriel Cantor, The Hollywood TV Producer (New York Basic Books, 1971), cited by Stanley Rothman and S. Robert Lichter, Roots of Radicalism, p. 97. 29. Particia Erens, The Jew in American Cinema (Bloomington: Indiana University Press, 1984), p. 28. 30. James Yaffe. The American Jews (New York Random House, 1968), p. 225. 31. Cynthia Dettelback, "'Coming of Age' 54th GA Theme," Cleveland Jewish News, 22 November 1985, p. A4. 34. The view expounded here differs significantly from that of Dr. Robert A. Hall Jr. ("The Persecution of P. G. Wodehouse," The Journal of Historical Review vol 7, no. 3, Fall 1986, p. 350). Speaking of P. G. Wodehouse, he wrote:"He was very much aware that there are too many individual differences among members of any group to justify judging it en masse." By logical extension, then, there are too many individual differences among members of any group to justify criticizing it en masse. Although there are many individual differences among members of any cultural grouping, this still does not rule out the persistence of general patterns of behavior and thought among individuals of the group, nor characteristics common to the group as a whole. The Jewish historian, Lucy S. Dawidowicz, has made this clear in The War against the Jews: 1933-1945 (New York Bantam, published by arrangement with Holt, Rhinehart and Winston, 1975), p. 464. Jewish behavior during the crises of WW II, she noted, was in large part determined by "... the dominant values of Jewish tradition and culture and a modal national character and personality. National character reflects the enduring formative influences of a people's culture and history. Through the processes of socialization during which the values of the group and patterns of behavior common to all its members are transmitted by family and peers, each individual's uniqueness is modified and seasoned by national characteristics."" 35. American Heritage Dictionary, (Houghton Mifflin Co., Boston. 1982, 1985), s.v. "anti-Semite." 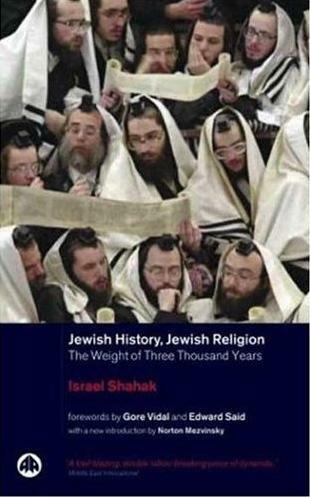 36. Review of Why the Jews? The Reason for Anti-Semitism, by Dennis Prager and Joseph Telushkin, The Journal of Historical Review, vol 5, nos. 2, 3, 4, (Winter 1984), pp. 376-77. 37. Yitzhak Santis, "Supporters of Demjanjuk seeking to discredit OSI," Cleveland Jewish News, 3 January 1986, p. 10. 38. For a good discussion on how some Americans are being railroaded, see Peter Carr, Susie Department, Media, KGB Pump U.S. 'Nazimania'," The Spotlight, 2 March 1987, p. 31. 39. David Bird, State U. Professor in a Dispute on Zionism Stand Is Denied Tenure," New York Times, 18 August 1985. 40. Lee O'Brien, American Jewish Organizations and Israel, p. 219. 41. Dube was made to leave the university. See the source in footnote 39. 42. Alex C. Michalos, Improving Your Reasoning (Englewood Cliffs, N.J.: Prentice Halt 1970), p. 78. 43. United Naffons, General Assembly, 2400th Plenary Meeffng, 10 November 1975, Resolution 3379 (XXN Determining That Zionism is a Form of Racislrl; Sami Hadawi, gWho Are the Palesffnians?," The Journal of Historical Review, vol. 4, no. 1, (Spring 1983), pp. 43-59; Abdeen Jabara, Zionism and Racism, Arab World Issues, Occasional Papers: No. 3 (Detroit Associaffon of Arab-American Graduates, 1976); Louise Cainkar, ed., Separate and Unequal: The Dynamics of South African and Israeli Rule (Chicago: Palesffne Human Rights Campaign, 1985); Regina Sharif, Non-Jewish Zionism: Its Roots in Western History (London Zed Press, 1983); David Hirst, The Gun and the Olive Branch: The Roots of Violence in the Middle East (Faber and Faber, 1977; London Futura Publicaffons, a division of MacDonald & Co., 1978); for a good discussion of the close ideological affinity between Naffonal Socialist and Zionist racialism, see Francis R. Nicosia, The Third Reich and the Palestine Question (Ausffn University of Texas Press, 1985), pp. 16-21. 44. Douglas Reed, The Controversy of Zion (Torrance, California Noontide Press, 1985), p. 174; Vladimir Begun, SThe Accusation of Anti-Semitism," Sputnik, September 1980, p. 31; Dewey M. Beagle, Prophecy and Prediction (Ann Arbor, Michigan: Pryor Pettengill, 1978), pp. 201-02; Fred Reed,"Intimidating the Press in Israeli Washington Post,28 June 1982; Charles M. Fischbein,"Money Talks to Media, and Media Controls Information," The Spotlight, 22 September 1986, p. 19; see the letter of Dr. Alfred M. LilienthaL reprinted in Richard V. London, Author Challenges GOP Lawmaker to Change Attitude on 'USS Liberty," The Spotlight, 2 February 1987, p. 5; finally see the statements of former Undersecretary of State George W. BalL the journalist Harold Piety, and Jewish intellectual Roberta Strauss Feuerlicht in Paul Findley, They Dare to Speak Out, pp. 127, 268, 296. 45. Introduction to Logic, 5th ed. (New York Macmillan, 1978), p. 88. 46. Joseph Julian, Social Problems, 3rd ecL (Englewood Cliffs, N.J.: Prentice HalL 1980), p. 48. 47. 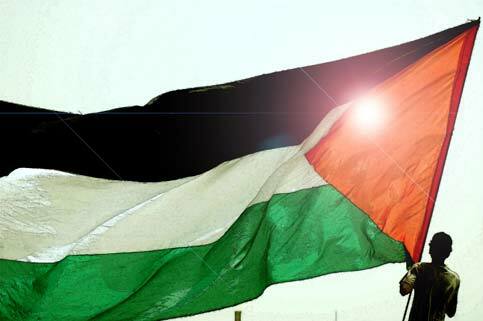 "Congress and the Pro-Israel Lobby (Interview)," Journal of Palestine Studies, voL xv, no. 1 (Autumn 1985), p. 107. 48. Examples and evidence in support of this statement are so numerous, it would be impractical to list it all here. However, the following should suffice to illustrate the point. In reference to the legitimate criticism which Liberty Lobby (a populist institution based in Washington) has consistently advanced throughout the years, a very important ADL official Arnold Forster, has stated the following: "There is more than ample scientific basis ... for unequivocally stating that anti-Semitism is a disease, and that its disseminators are just as dangerous [as] any Typhoid Mary." See Liberty Lobby, Conspiracy Against Freedom: A Documentation of One Campaign of the Anti-Defamation League Against Freedom of Speech and Thought in America, ed. Willis A. Carto (Washington, D.C.: Liberty Lobby, 1986), p.106. Notice how Zionist ideologues deal with revisionist critiques of the "Holocaust." Robert Faurisson has pointed out how Elie Wiesel uses the following terms -- all of which conjure up the idea of mental illness -- in reference to the revisionists: "indecent pamphleteers with morally deranged minds;" "Those hateful and vicious persons;" "it is to take leave of one's senses;" "this entire affair arises from lunacy." See "Revisionism on Trial: Developments in France, 1979-1983," The Joumal of Historical Review, vol. 6, no. 2 (Summer 1985), p. 177. L. A. Rollins has uncovered other examples of the same. See "The Holocaust as Sacred Cow," The Journal of Historical Review, vol 4, no. 1 (Spring 1983), pp.37-38. 49. Palestine Human Rights Campaign (U.S.A.) and Committee Confronting the Iron Fist Jerusalem), Special Report (Chicago Palestine Human Rights Campaign, 1986); Palestine Human Rights Campaign and American-Arab Anti-Discrimination Committee, Report on Israeli Human Rights Practices in the Occupied Territories for 1985 (Chicago: Palestine Human Rights Campaign, n.d.); Washington, D.C.: American-Arab Anti-Discrimination Committee, n.d.); Jan Abu Shakrah, aThe Making of a Non-Person," The Link, vol 19, no.2, (May- June 1986); Raja Shehadeh, Occupier's Law: Israel and the West Bank (Washington, DC: Institute for Palestine Studies, 1985); Israel Shahak,"A Summary of the System of Legal Apartheid Which Is in Force in the Occupied Territories," Palestine Human Rights Newsletter voL VI, no. 4, July-August 1986), p.9; "Crockett Assails Repression of Palestinians," Palestine Perspectives, October 1985, p.12. 50. "Crockett Assails Repression of Palestinians," Palestine Perspectives, October 1985, p.12. 51. Review of Occupiers' Law: Israel and the West Bank, by Raja Shehadeh, in "The Making of a Non-Person," The Link, vol 19, no. 2, (May-June), p.14. .
52. David Irving,"On Contemporary History and Historiography," The Joumal Historical Review, vol 5, no 2, 3, 4, (Winter 1984), pp. 265-266; David Irving, Uprising! (London Hodder and Stoughton, 1981); RV. Burks, The Dynamics of Communism in Eastern Europe (Princeton; Princeton University Press, 1961), p.163. 53. David Irving, "On Contemporary History and Historiography," p. 266; David Irving, Uprising!, pp. 47-50. 54. Arlene Gets Serious on Mr. Reagan," The National Jewish Post and Opinion, 1 May 1985, p.9. Read also: The pathetic label of "Anti-Semitism"
Back to our section on so-called "anti-Semitism"